Mini has announced that its all-new Countryman crossover will go on sale in February next year. The model will make its debut at the LA Motor Show in November. The new Countryman is anything but Mini, and is in fact the largest Mini model yet. It’s 4.3metres long (20cm more than the outgoing model), and 3cm wider. The wheelbase also has an extra 7.5cm. 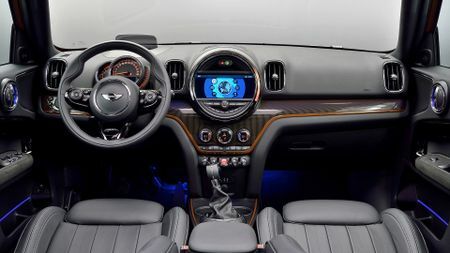 That means Mini looks to be targeting a pretty wide sector with the new Countryman, positioning it as a practical family car that also offers fun. It will be going up against hatchbacks such as the Volkswagen Golf, and compact SUVs and crossovers, including the Nissan Juke, Renault Captur, and possibly even larger premium models like the Audi Q3. It’s looking pretty rugged and solid, with large wheels, squared corners, and a less prominent grille and headlights to previous models. All models will have large silver roof bars. Inside, there should be plenty of legroom for those in the back thanks to the increased wheelbase, and overall things have gone a bit more upmarket in terms of build quality and finishes. The big circular central screen is still there, but gone are the circular air vents, replaced by rectangular ones. And there’s plenty of scope to personalise, with dual-colour door trims or various leather finishes. 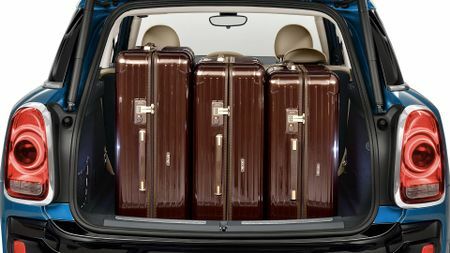 The boot is a sizeable 470 litres, and the rear seats split 40/20/40, so there should be plenty of space for storage. Standard equipment includes sat-nav, 17inch wheels, rear parking sensors, Bluetooth, collision warning, and city braking. Options include an 8.8inch touchscreen, head-up display, panoramic sunroof, adaptive dampers, a Harman/Kardon sound system, XL navigation system, and a detachable tow bar. As always, Mini offers its extras in packs, which include the Chili Pack, JCW Chili Pack, and the Tech Pack. These can add a few thousand on to the cost though. 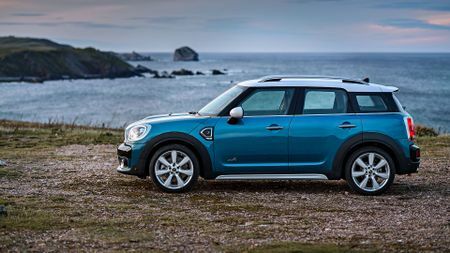 The Countryman range starts with a turbocharged 1.5-litre three-cylinder petrol Cooper model, with 136bhp. And the Cooper S model has a 2.0-litre four-cylinder petrol engine with 192bhp. The base model Cooper D comes with a 2.0-litre engine with 150bhp, and the Cooper SD develops 190bhp. 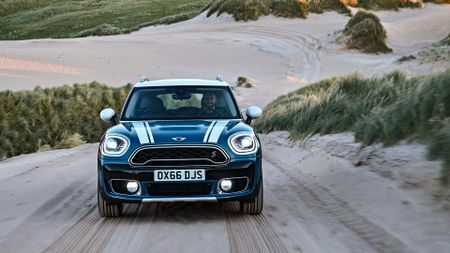 All4 four-wheel-drive is available as an option on all engines, for about £1,600, and all but the Cooper SD Countryman and SD All4 Countryman are available with manual and automatic gearboxes. For the first time, Mini will be offering a plug-in hybrid model, with a turbocharged petrol engine and an electric motor – the Mini Cooper S E Countryman All4. This will up the fuel consumption to 134.5mpg, with 49g/kg CO2 emissions, and it will apparently do 0-62mph in 6.9seconds. The hybrid Countryman will be able to travel 25 miles on electric power alone. It will offer all-wheel drive: the petrol engine with six-speed automatic transmission drives the front wheels, and the 88bhp electric motor on the back axle drives the rear wheels. Mini says it will be possible to drive up to 78mph in battery-only mode. The lithium ion battery can be charged in 3hr 15mins from a normal wall plug, and 2hr 15mins from a specialist wall box. 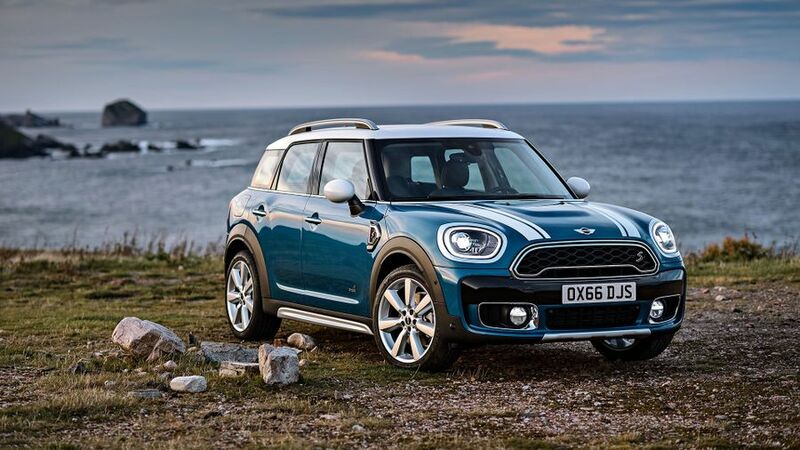 The Countryman will start from £22,465, which is significantly more expensive than the outgoing model, but does feature more kit, with the SD All4 top-of-the-range model costing £29,565.